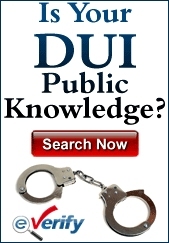 We make various services available on this site including, but not limited to, information, educational materials, and other materials about the legal profession, the administration of justice, NJ DWI HQ, its employees and its members, and other like services. You are responsible for providing, at your own expense, all equipment necessary to use the services, including a computer, modem, and Internet access (including payment of all fees associated with such access). In order to access some of the services on this site, you will be required to use an account and password that are made available to individual members of the NJ DWI HQ and are obtained by your becoming a member. When you become a member, you must provide certain information and data (“Registration Data”), and maintaining and updating your Registration Data as required. By becoming a member, you agree that all information provided in the Registration Data is true and accurate and that you will maintain and update this information as required in order to keep it current, complete, and accurate. Copyright (c) 2013 NJ DWI HQ All Rights Reserved. This site (excluding any linked sites) is controlled by us from within the County of Essex, Newark, New Jersey, United States of America. It can be accessed from all 50 states, as well as from other countries around the world. As each of these places has laws that may differ from those of County of Essex, Newark, New Jersey, by accessing this site both of us agree that the statutes and laws of the State of County of Essex, Newark, New Jersey, without regard to the conflicts of laws principles thereof and the United Nations Convention on the International Sales of Goods, will apply to all matters relating to the use of this site and the purchase of products and services available through this site. Each of us agrees and hereby submits to the exclusive personal jurisdiction and venue any court of competent jurisdiction within the State of County of Essex, Newark, New Jersey with respect to such matters. All notices to a party shall be in writing and shall be made via conventional mail. Notices to us must be sent to the attention of Legal Counsel at NJ DWI HQ One Gateway Center, Newark, New Jersey, 07102 . Notices to you may be sent to the address supplied by you as part of your Registration Data. In addition, we may broadcast notices or messages through the site to inform you of changes to the site or other matters of importance, and such broadcasts shall constitute notice to you at the time of sending. The NJ DWI HQ (“We” or “Us” or “Our”) offers the use of its blogging and messaging services (such as making your blog and twitter posts available on your profile, along with the content posted thereon, the “Services”) subject to the terms and conditions of use (the “Terms”) contained herein. All references herein to “We,” “Us,” or “Our” are intended to include NJ DWI HQ and any other affiliated organizations. By accessing, creating or contributing to any blogs or messages hosted link-displayed by us (the “Blog”), and in consideration for the Services we provide to you, you agree to abide by these Terms as well as rules regarding Advertising. Please read them carefully before posting to or creating any Blog and/or link. We reserve the right to change, at any time, at our sole discretion, the Terms under which these Services are offered. You are responsible for regularly reviewing these Terms for changes. Your continued use of the Services constitutes your acceptance of all such Terms. If you do not agree with these Terms, please do not use the Services. The government is not going to help you protect your legal rights and defend your bright future. You need to protect yourself from wrongful DWI charges and can do this by hiring the best DWI lawyer for your personal legal situation. Not every lawyer may be the best match for you but hopefully with some information about the NJ DWIs you can find the best lawyer and defense for your case!